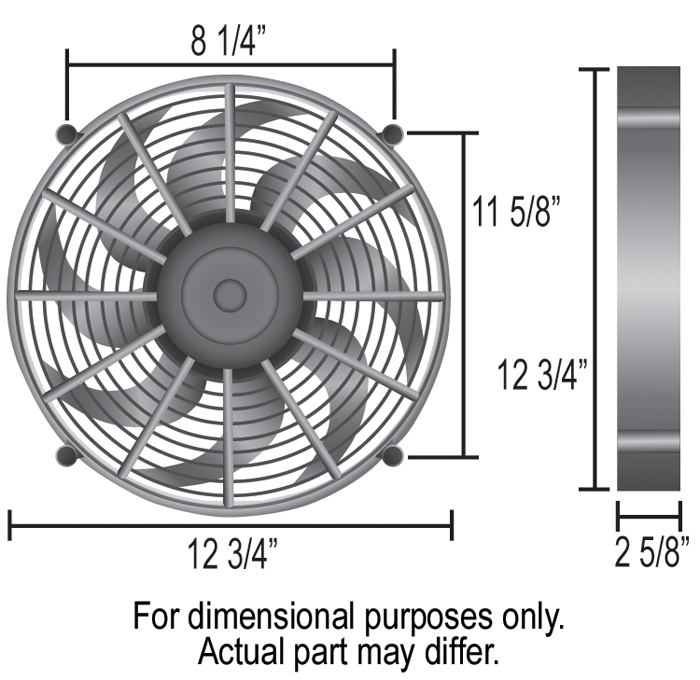 Our most compact version of the High Output Single RAD fan series, this 12" fan is a self-shrouded, symmetrical design with four molded mounting points. 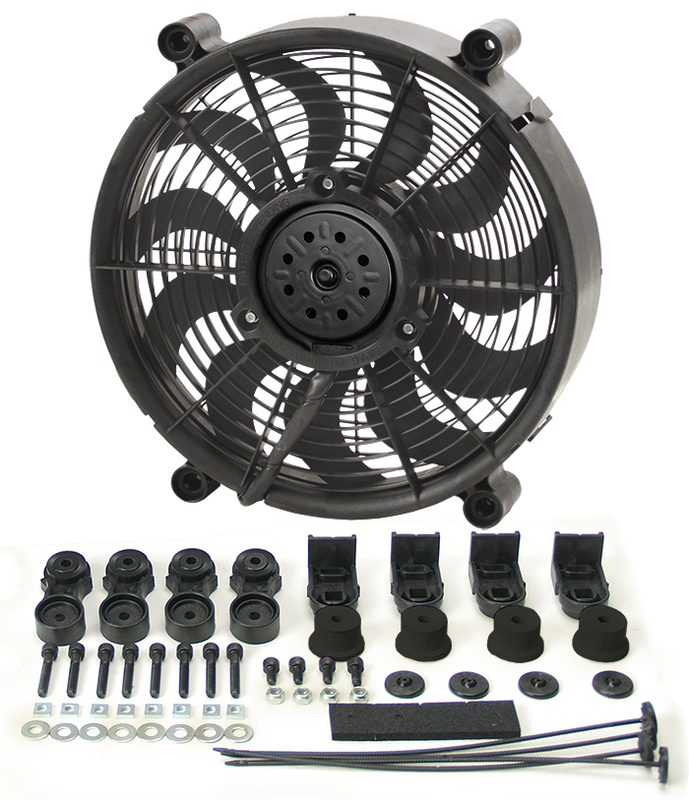 Motivated by a 2-speed 265 watt Bosch motor driving 11 patented skewed blades, each includes a patented ratchet mounting system for a professional installation. 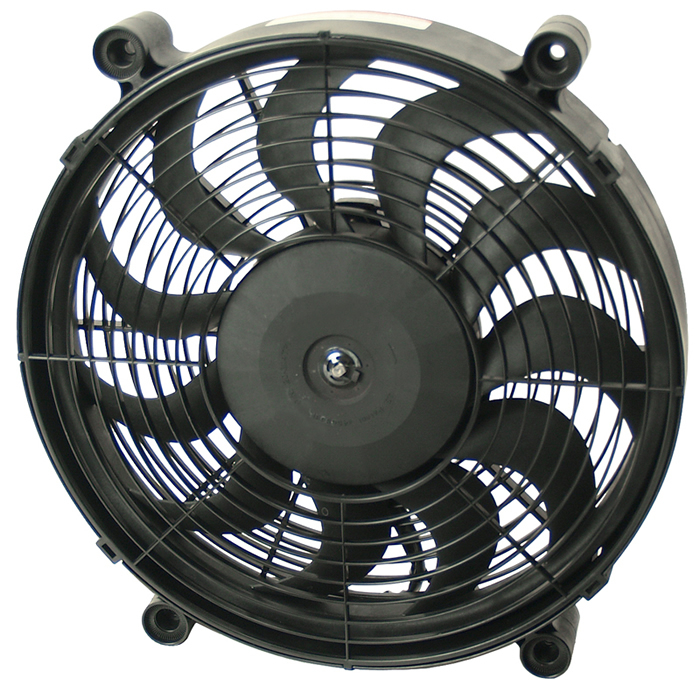 Can be used as a pusher or puller fan by simply flipping brackets without changing direction of the unit. Moves up to 1450 CFM while drawing up to 21 amps.